Elio: That's what mom calls them. That's what mom calls them! Mr. Perlman: ...and then accept gifts from them. The only person that reflects badly on is you. Is it because they're gay or because they're ridiculous? 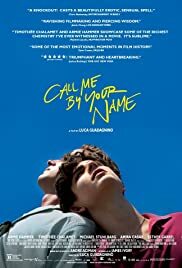 Call Me By Your Name is the kind of movie that makes you sit through the credits with tears rolling down your face, staring blankly at the screen with a lump in your throat and tightness in your chest. Call Me By Your Name is not a tragic movie. It's not a sad movie. It's not a pretentious movie. It's a movie about love, and love, and love. A beautiful love that will leave you longing to find your own love and drown in it. Timothée Chalamet is an absolute force of nature. 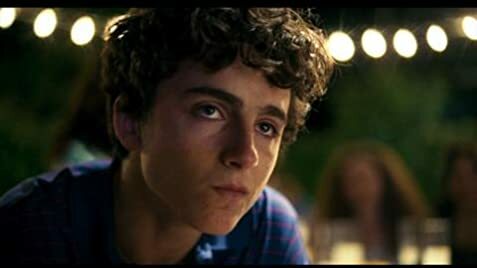 Elio will make you want to love, and hurt, and piece yourself back together with absolutely no regrets whatsoever. Elio will make you want to live your life to the fullest. Elio will make you want to break your own damn heart. It's so rare that a performance truly shows the depth of longing, and despair, and passion a character conveys through written words without the internal monologue. Timothée is truly a revelation and his last scene during the credits will have a lasting impact on everyone. Michael Stuhlbarg's monologue delivered nearing the end of the film is a complete masterpiece, and without a doubt that monologue with be taught and quoted for many years to come. A raw and beautiful scene. Watch this movie. Watch it, and love it, and don't let it fall victim to over-hype. Watch this movie. Fall in love in two hours and twelve minutes, then question every single time you didn't allow yourself to feel just because you were afraid of getting hurt. Was avoiding a possible heartbreak that might have shattered you worth never getting a taste of the heavens? Was killing the potential pain and heartache worth it? Was it worth it? 363 of 496 people found this review helpful. Was this review helpful to you?